Posted August 22, 2018 by Olga Azar & filed under Arts & Entertainment, Theatre & Performance. As child during the conflict that shattered former Yugoslavia in the 1990s, Oleg Pupovac lived in a tiny village of about 650, where his grandmother, 92 still lives. The 31-year old moved to Australia on his own at 19, after having lived all over the world and picking up various languages. 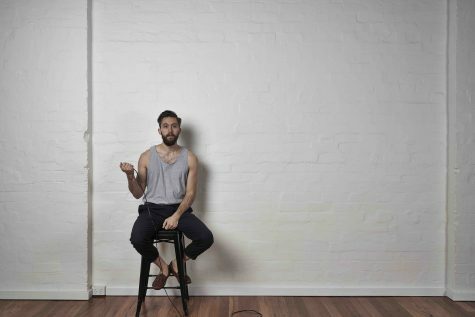 He stays in touch with family, sometimes listening to songs recorded on voice mail, which forms part of the perspective of his latest work – Me and My Mother, Singing – playing at Blood Moon Theatre.